Khao Sok NP is part of Thailand’s largest protected area. Within the unspoiled jungle, locals are leading a revolution in the quality of nature tourism. All Khao Sok national park activities are led by local community leaders and well trained guides with strong English language skills. There are just so many things to do in Khao Sok from a relaxing jungle cooking experience to a 10 day deep jungle survival tour! 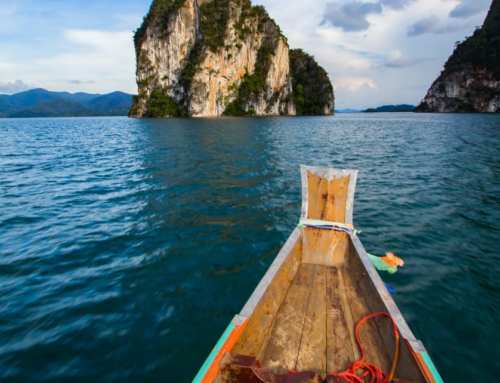 We have picked the Top 6 Activities in Khao Sok to suite everyone’s travel style! In Khao Sok we love to make and eat great food! 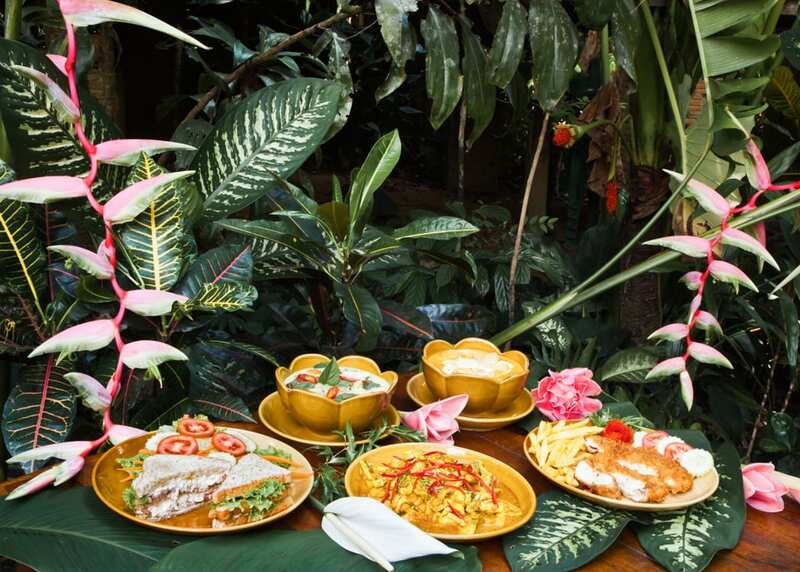 Visit a local Thai family to experience local culture and authentic dishes in a one of a kind wild jungle setting! In a local farm, you will be able to get hands on experience of making traditional Thai recipes. We absolutely love this experience and still taste that delicious turmeric grilled chicken we made! This is consistently noted as one of the best things to do in Khao Sok. 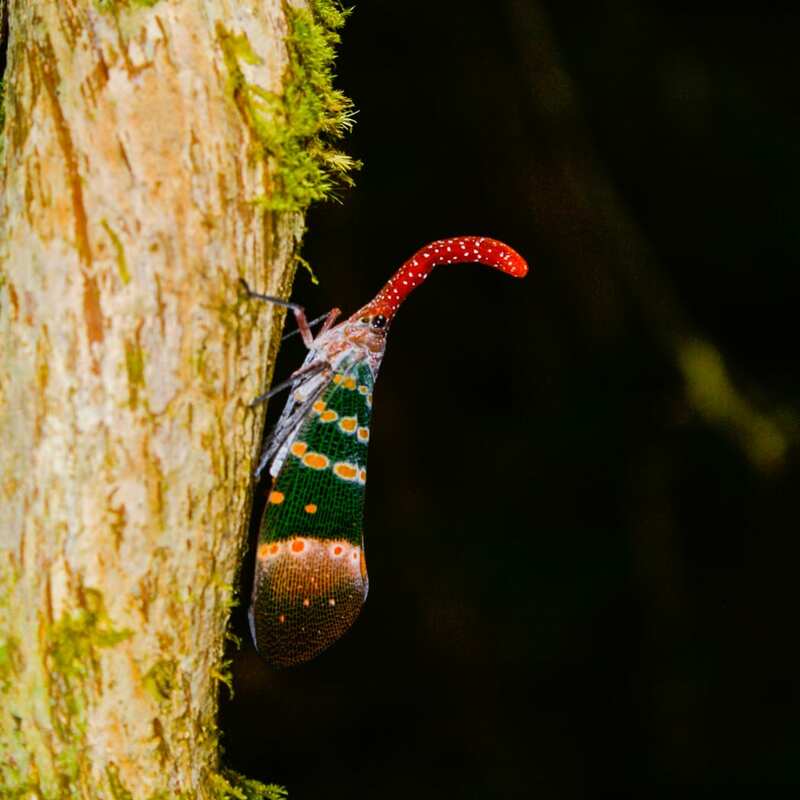 One of the most amazing Khao Sok national park activities in one of the most striking places on earth. Cheow Lan Lake is blessed with hundreds of islands of towering limestone cliffs! The Khao Sok lake national park has remote spots that are ideal for small floating bungalow resorts and the only way to get there is on a traditional Thai longtail boat! This is our all-time favorite day trip which includes a feast on a floating restaurant and a hike to an ancient bat cave! Venture into the dark jungle with an expert guide to spot the nocturnal creatures leaving their hideouts. During 2 hours of easy walking keep your eye out for the extraordinary local fauna! Tarantulas hidden in their caves, world’s smallest deer, a civet cat, slow loris and many more mysterious critters and animals! Somboon! Our favorite 54-year old elephant. He was rescued from a working camp and now lives with a lovely family. 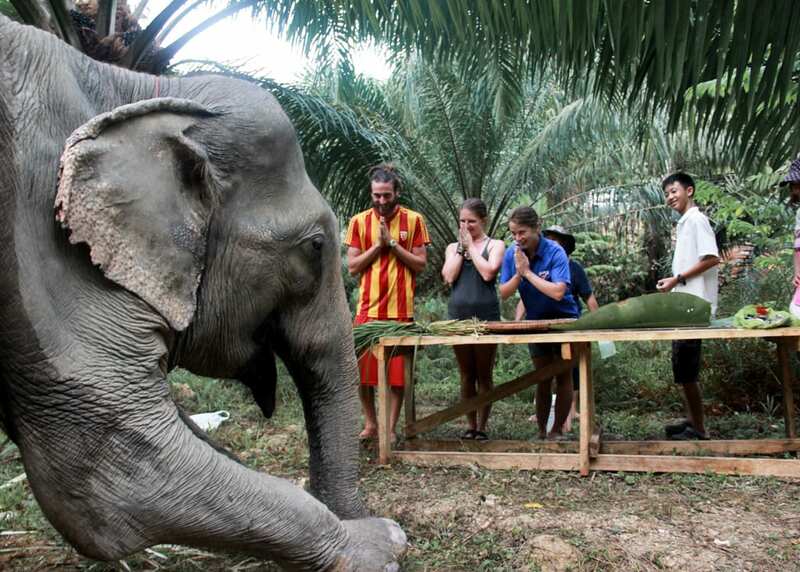 You will have an incredible experience feeding Somboon, who eats 300 kg of food per day, learn about Thai elephant culture, including the secret traditional food mix recipe, and even some words in a Mahout (elephant handlers) language. The best part of course is when you get to bathe the elephant! besides the Khao Sok national park activities the delightful Sok river meanders through the jungle and the town of Khao Sok. Jump in a canoe or a tube and experience the jungle from this unique perspective! You can see monkeys playing in bamboos, brightly colored kingfishers and snakes snoozing in the trees above! 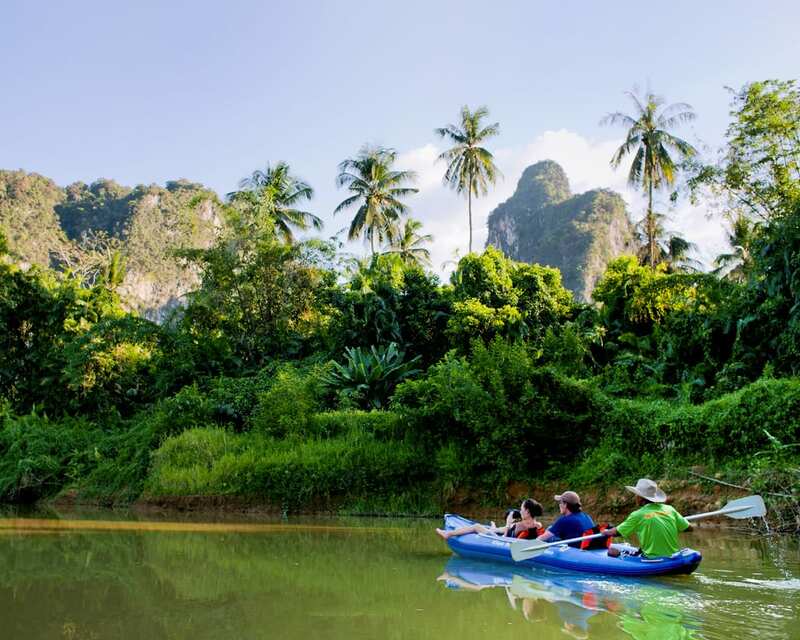 Canoe trip is one of the activities in Khao Sok that is suitable for everyone, let the guide do the paddling and wildlife spotting while you sit back and relax! 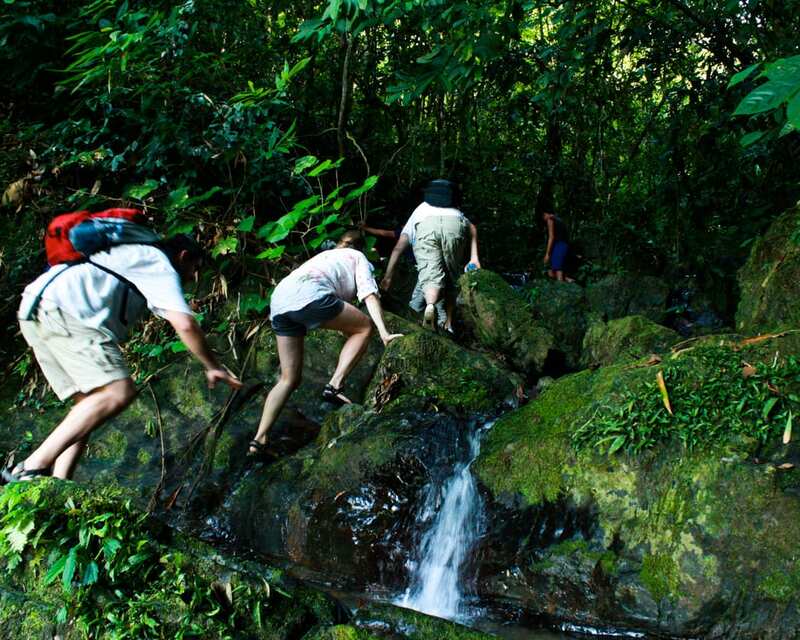 And for the most adventurous we can offer a deep jungle adventure with expert bushcraft guides. This is the best option for the real jungle experience and you will get to learn the most about surviving and scavenging wild plants, fruits and fishing in world’s oldest rainforest ecosystem! Good health and good fitness level is a must for this adventure! 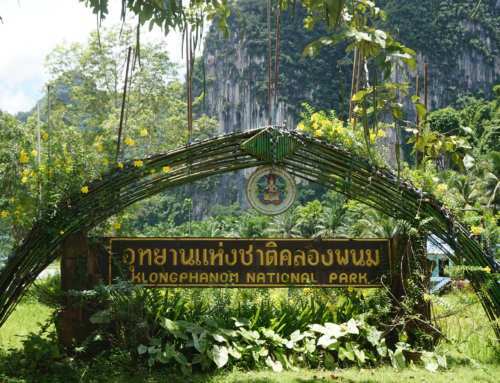 Khao Sok National Park activities include everything for a nature adventure! On other activities in Khao Sok try traditional jungle cooking, heartwarming elephant experiences or refreshing river activities. 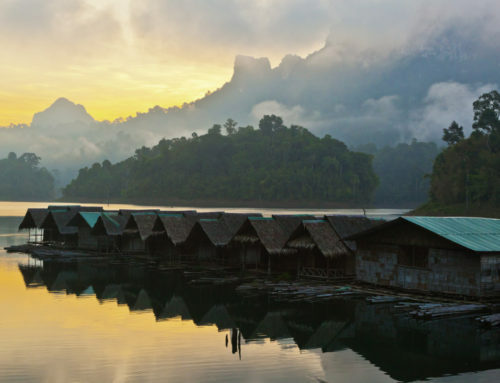 There are so many things to do in Khao Sok and for those wanting more action, a full day lake trip, a mysterious night safari or jungle survival tour would be the way to go! Khao Sok national park activities can be quite demanding and require a decent level of fitness. 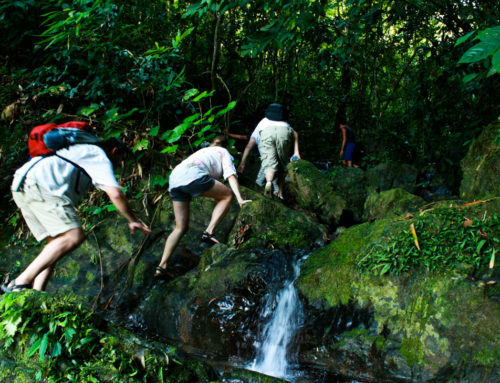 This is a wild mountainous jungle and to reach its deepest secret places requires some quite challenging hikes. On the other hand there are so many things to do in Khao Sok and on the Khao Sok lake national park that you will find something for everyone. There are plenty of activities in and around the village that require no great physical input. Our latest fun craze is batik making in the salsa by the river. Great for the kids demanding artistic skills rather than physical ones. 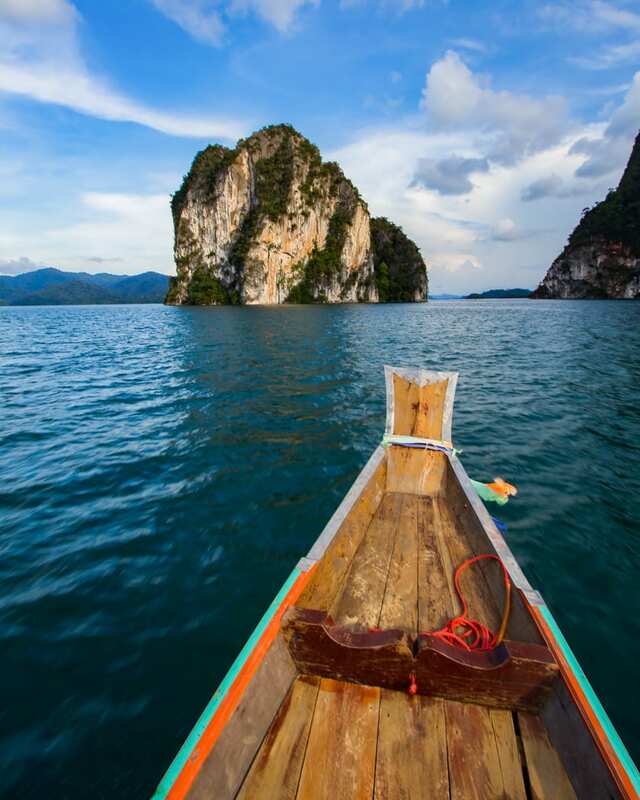 Learn Thai cooking, visit the amazing elephants or take a gentle guided canoe trip on the Sok River. 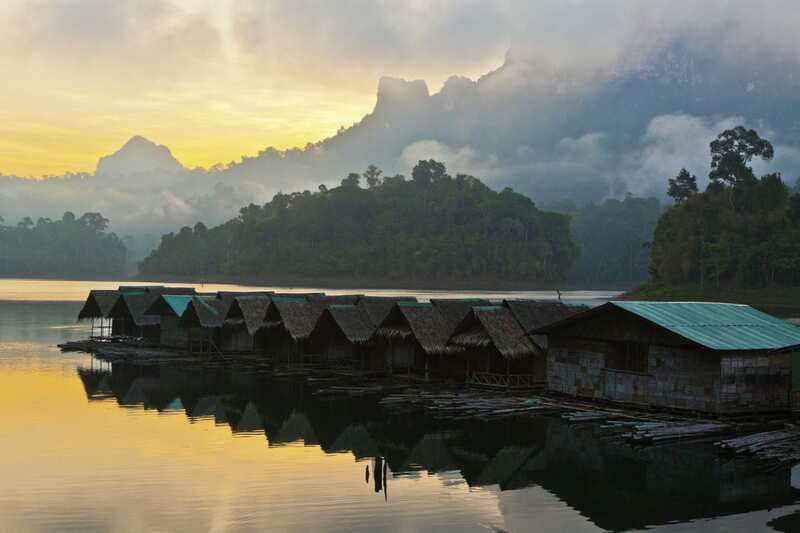 The Khao Sok lake national park provides a remarkable opportunity to stay overnight on floating bungalows. Waking just a few steps away from teh gently lapping waters of the pristine lake is something else! However please understand that the everything has to be ferried by boat to these floating islands of wonder. 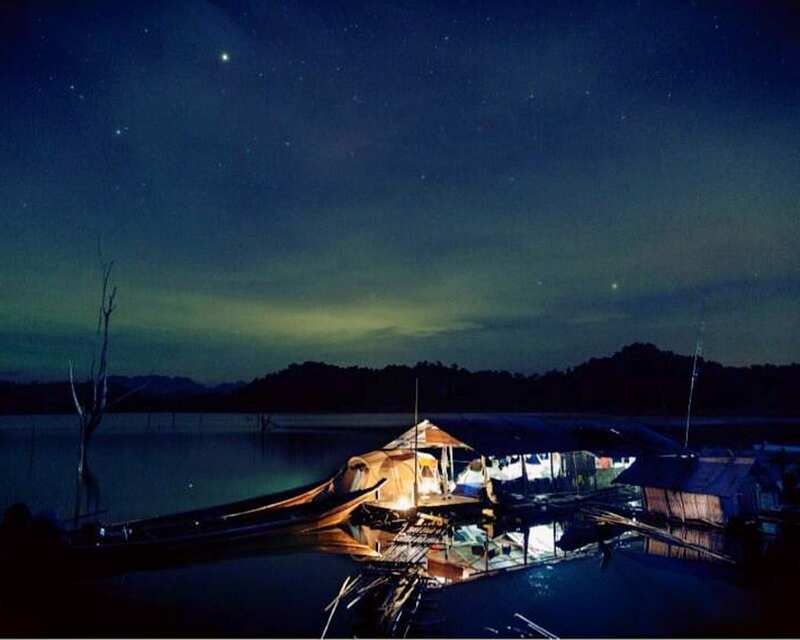 You won’t find cell phone or internet connections in much of the Khao Sok lake national park. Of course this is also one reason why it is such an amazing, and one of the most popular activities in Khao Sok. Just be aware that the accommodations are a bit rough and ready without air conditioning and other creature comforts. You can find the full activities list and suggested itineraries on Riverside Cottages website. Once you’re in Khao Sok our staff will make sure you get the most from your time here! Find your perfect Khao Sok accommodation and start planning your next big adventure at the tropic paradise we call Home! 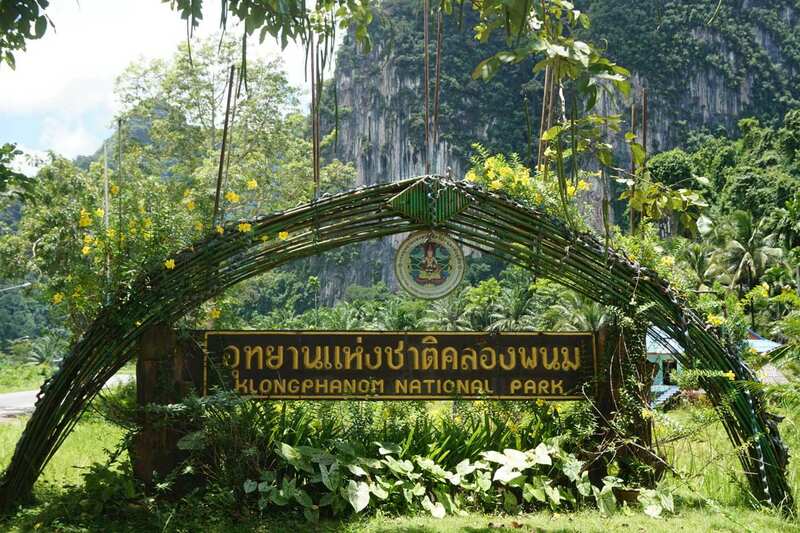 Sweat it out: A Khao Sok National Park Weather guide! Riverside Cottages is a family-owned resort in Khao Sok, Thailand. • Spacious free-standing wooden rooms set in the forest and by the river. 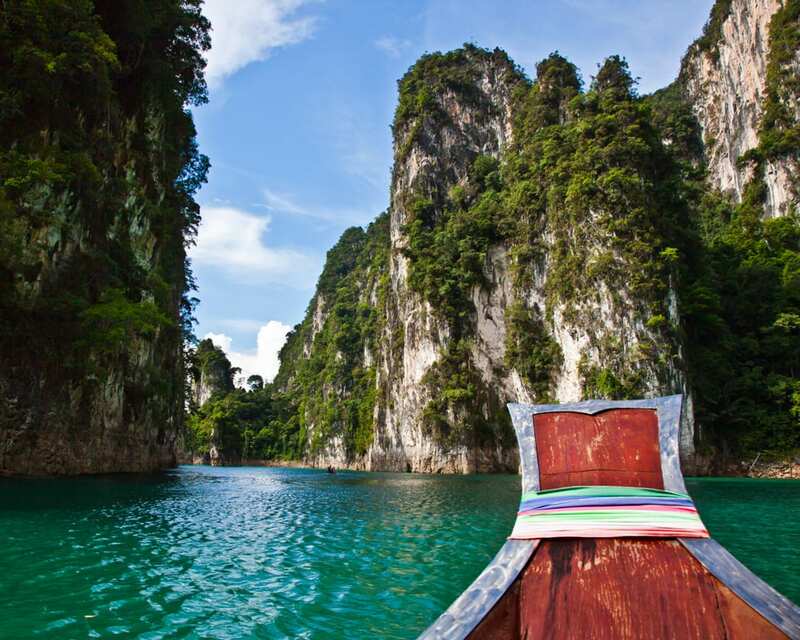 Khao Sok National Park is a natural wonderland of ancient jungle, spectacular rock formations, and exotic wildlife. Just a few hours travel from Koh Samui, Krabi, or Phuket, Khao Sok Riverside Cottages is the perfect base from which to explore the National Park, swim in the river, and enjoy the simple life.